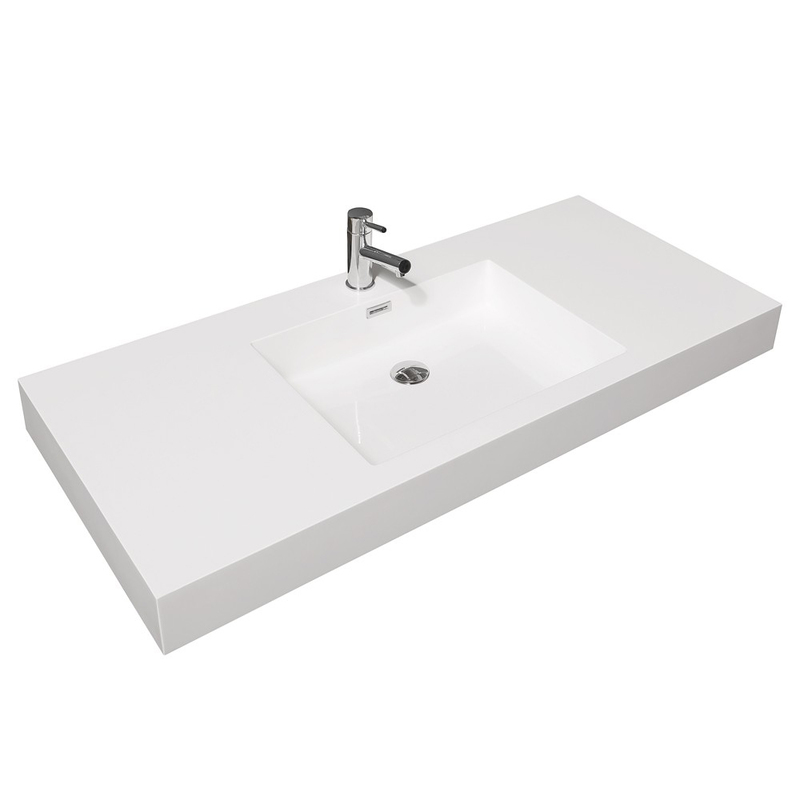 The 47" Amare Single Bath Vanity offers the modern appeal of an integrated sink top, but with counter space! 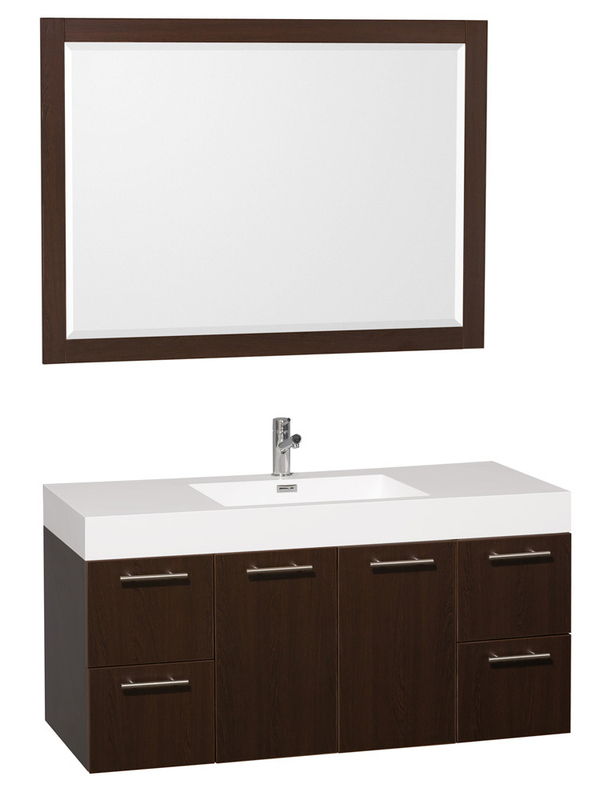 This attractive vanity offers a cabinet finished in a warm Espresso finish that's matched with Brushed Chrome hardware and an acrylic resin integrated sink top. 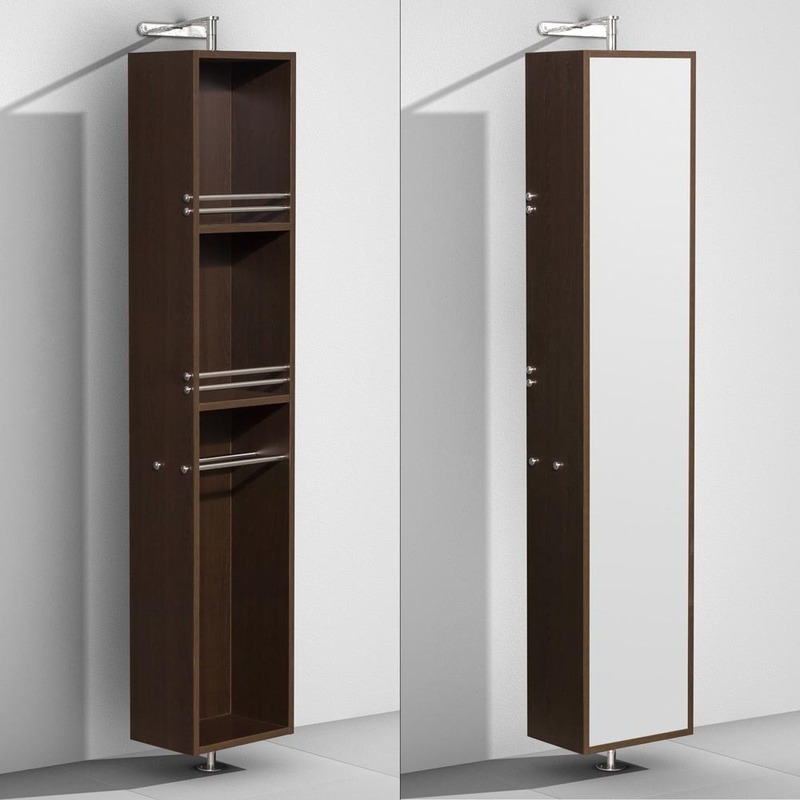 Its wall-mounted design allows you to have all the storage and counter space you need without taking up all the floor space in the bathroom. 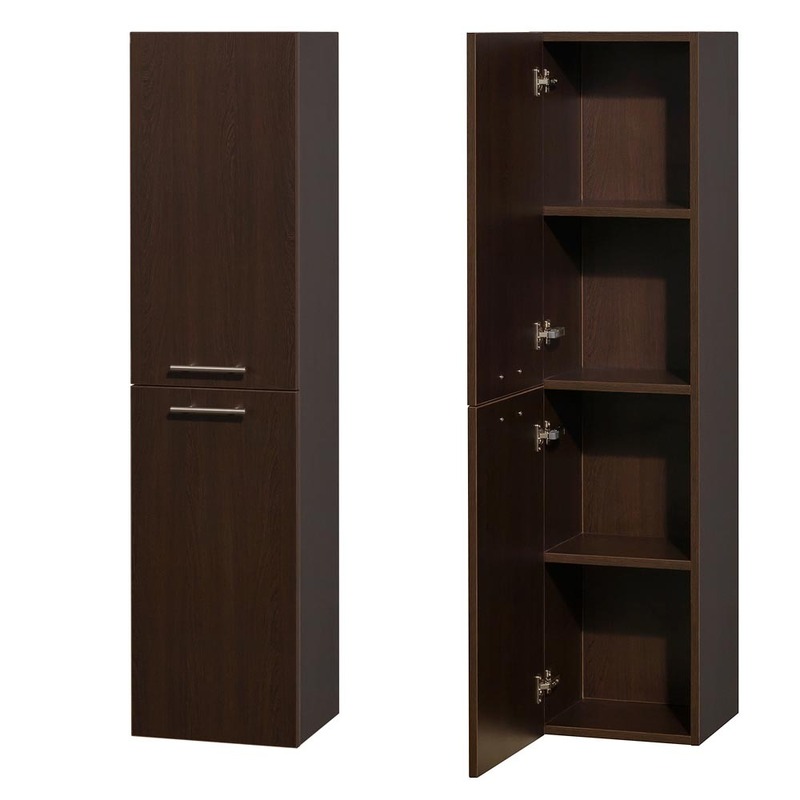 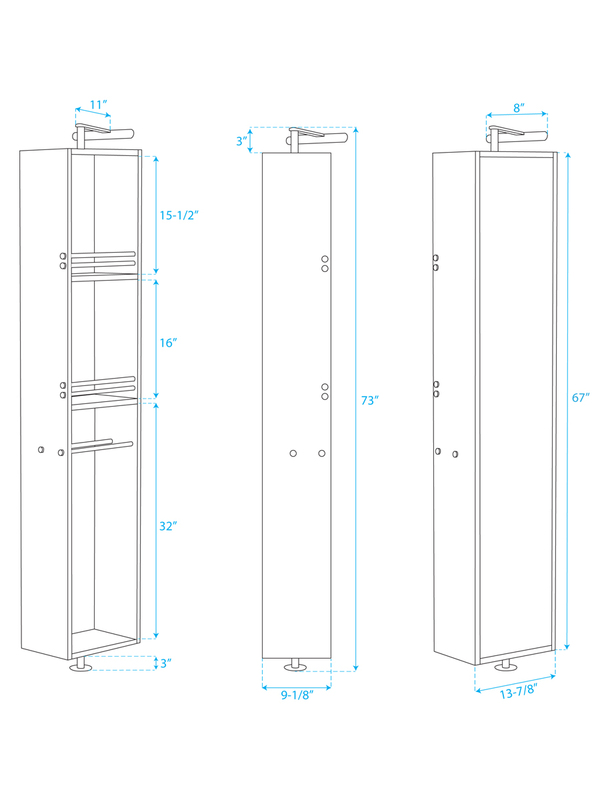 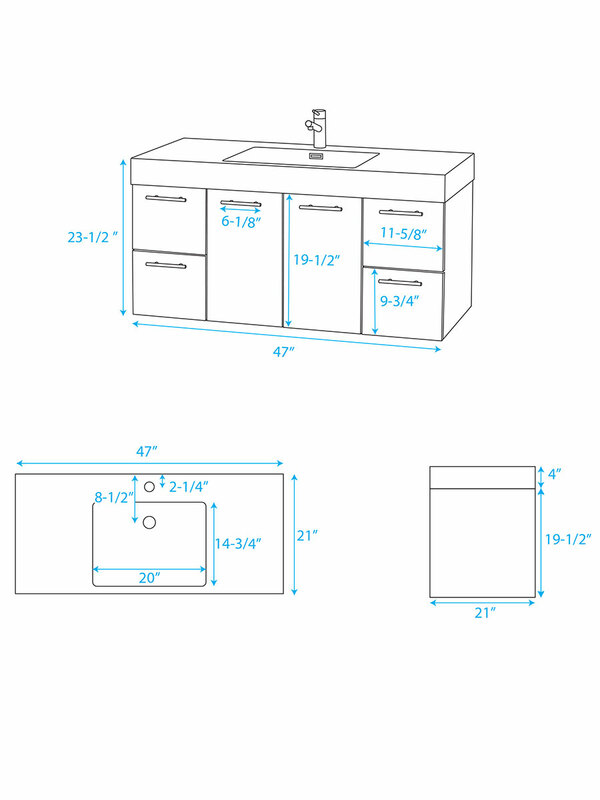 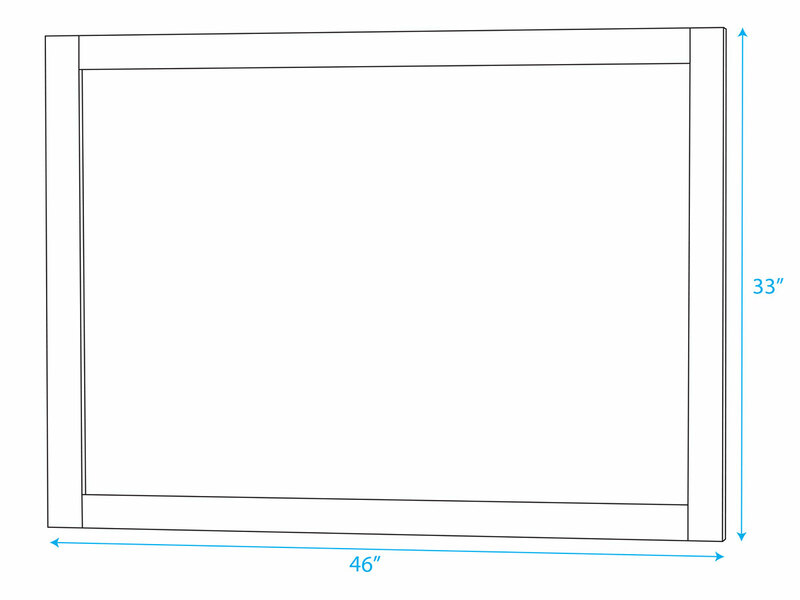 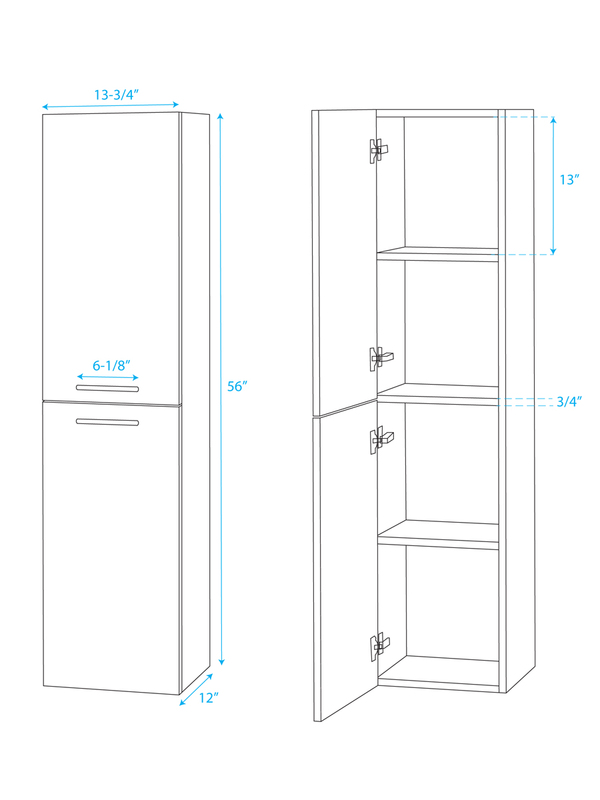 Storage options include its four spacious drawers and a central double-door cabinet, all of which are equipped with soft-closing glides and hinges. 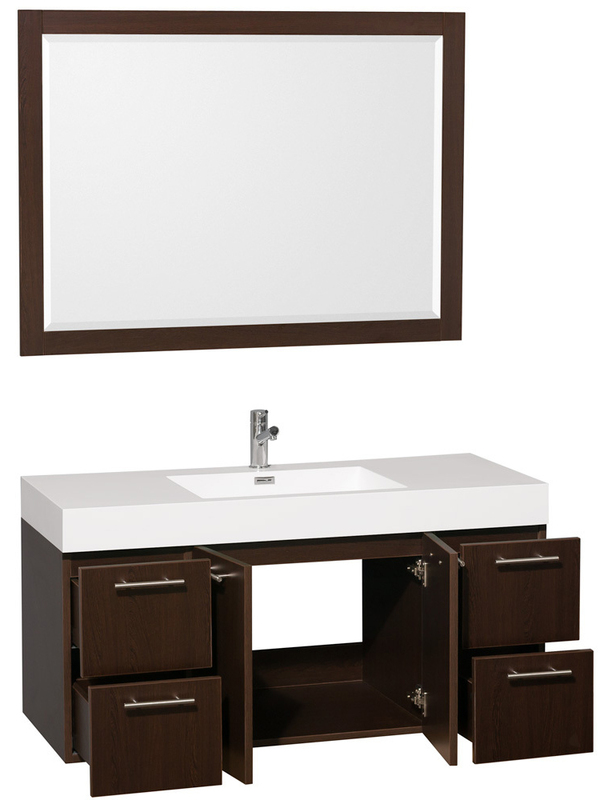 A matching mirror is included with the Amare Vanity.